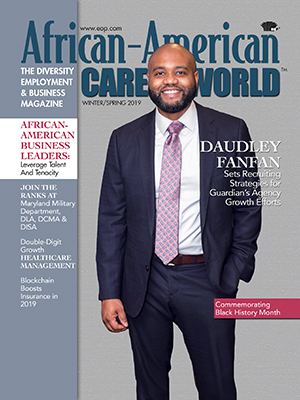 African-American Career World Magazine, launched in 2001, is the recruitment link between students and professionals who are African American and the employers that seek to hire them. The publication includes career strategies, industry trends, and role-model profiles that target the African-American community. This magazine reaches students, graduate students and professionals at their home addresses. If you are an African-American college student or professional, African-American Career World is available to you FREE! Holland America Line’s inaugural Shared Humanity Award has been given to Archbishop Desmond Tutu, the former Archbishop of Cape Town, South Africa, in recognition of his lifetime spent championing equality, inclusion and peace. Holland America Line President Orlando Ashford awarded the honor to the Archbishop, who attended the program on April 4, aboard Amsterdam in Cape Town during a stop on the ship’s Grand World Voyage. Guests also heard highlights of the Archbishop’s remarkable life from Robert V. Taylor, president of the Desmond Tutu Peace Foundation, tutufoundationusa.org, in New York, NY. He was in Cape Town for the event. Also in attendance was Arnold Donald, CEO of Carnival Corporation. Ashford presented a $40,000 donation on behalf of Holland America Line to the Desmond Tutu Peace Foundation in commemoration of the award. Holland America Line’s Shared Humanity Award - together with a menu from dinner on board Amsterdam following the award program - was showcased in the Archbishop’s museum after the ceremony in Cape Town. Earlier this year, Seattle, WA-headquartered Holland America Line established the annual Shared Humanity Award, presented to a leader and change-maker dedicated to inspiring others to see that the things that unite us are greater than those that divide us. “Holland America Line is guided by the belief that travel changes the way we look at the world and helps create a path toward acceptance. By establishing the Shared Humanity Award, we can pay tribute to those who have inspired us and millions of others,” says Ashford. Tutu, the first black African to serve as Archbishop of Cape Town, and his work forging racial equality - beginning with his opposition to apartheid in South Africa - is renowned throughout the world. His leadership of the Truth and Reconciliation Commission has offered a blueprint to nations across the globe seeking to recover from war, conflict and brutality, notes Holland America. The Archbishop is known for his unshakable optimism in the face of overwhelming odds and his limitless faith in the ability of people to do good works. During the last decade and a half he’s been an outspoken voice for women’s leadership, girls’ education and LGBT rights, addressing climate change and seeking to end the practice of child brides, according to Holland America. Tutu received the Nobel Peace Prize in 1984, the Albert Schweitzer Prize for Humanitarianism in 1986, the Pacem in Terris Award in 1987, the Sydney Peace Prize in 1999, the Gandhi Peace Prize in 2007 and the U.S. Presidential Medal of Freedom in 2009. “There are many ways to celebrate Archbishop Emeritus Tutu - peacemaker, reconciler, champion of human rights of every kind, recipient of countless awards and hundreds of honorary doctorates, but this humble man who treads the face of the earth lightly loves the simplicity of being called ‘Father,’” says Taylor. Learn more about the award and the ceremony at www.hollandamerica.com/blog/topics/awards-accolades/holland-america-line-establishes-the-shared-humanity-award-and-bestows-first-honor-on-archbishop-desmond-tutu.